Here it is, recipe numero dos. Just in time for you to make this evening for dinner. It’s quick and easy, won’t take more than 20 minutes total. But, I made a mistake when making this. When I was at the store they were out of butter lettuce so I thought ‘No big deal, I have some lettuce at home I will use’. Don’t do that. It was not the same. Use the butter lettuce, not a substitute. 1. Slice the chicken thighs into small strips. 2. Rub the chipotle, onion and garlic powder on the strips, spreading evenly. 4. While chicken is cooking slice up the avocado/cherry tomatoes. 5. Pile on top of some pieces of butter lettuce, wrap up and enjoy! 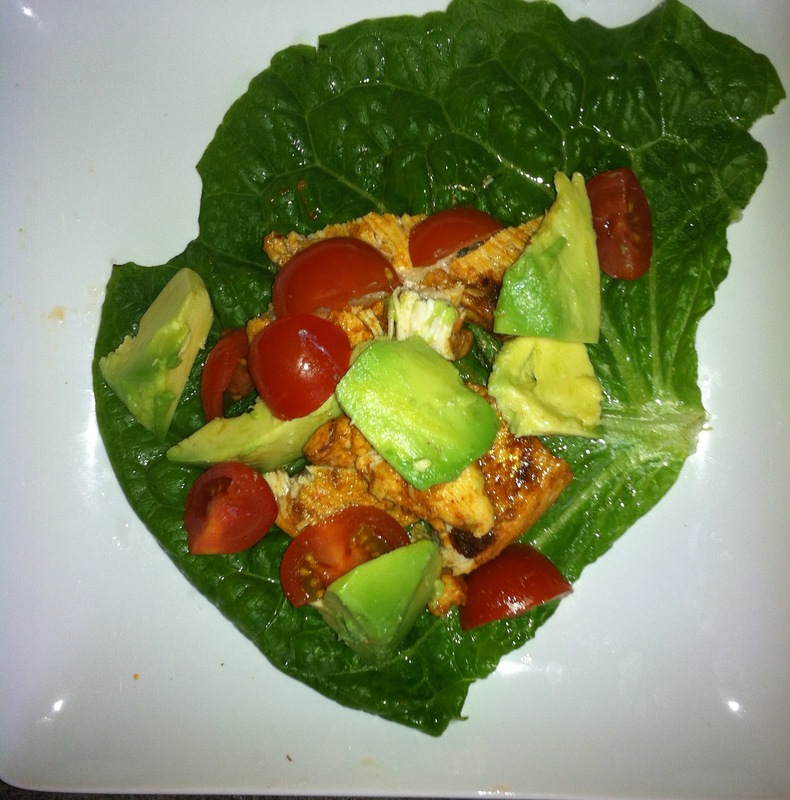 This entry was posted in Paleo, Recipe and tagged chicken, CrossFit, Fit, fitfluential, meal, Paleo, Recipe by fionaboger. Bookmark the permalink.